BOULDER, CO and SEOUL, SOUTH KOREA--(Marketwired - October 23, 2014) - SolidFire, ranked the storage industry's #1 Solid-State Array, today announced further expansion into the Asia-Pacific region with the establishment of an office in Seoul, South Korea to support growing demand for its scale-out, all-flash storage systems built specifically for large-scale data center infrastructure. In addition, the company has significantly grown its international teams in Australia, Japan, Korea and Singapore to address demand for the most agile and predictable storage infrastructure available. "We continue to witness growing demand from service providers and large enterprises in Asia for comprehensive solutions to address the performance, scale and management challenges inherent with legacy storage systems," said SolidFire's CEO and Founder Dave Wright. "SolidFire's expansion in Asia-Pacific and other high-growth international markets will enable customers worldwide to deliver scalable, automated storage infrastructure with guaranteed performance to their virtual and cloud environments." SolidFire's expansion in Korea follows the announcement of an $82 million USD Series D round of funding, that had brought its total funding to $150 million USD. New investor Greenspring Associates led the round along with a major sovereign wealth fund, and included participation from current investors NEA, Novak Biddle, Samsung Ventures and Valhalla Partners. SolidFire will use the additional funds to extend its global reach and further advance its leading all-flash storage architecture. Joshua Kim, country manager, Korea, will manage SolidFire's office in Seoul. He will be responsible for further building SolidFire's market access and customer relationships. Kim previously held positions with Cloudant, Oracle and Hewlett Packard Korea. Dave Wright, SolidFire's CEO and Founder, will present "The Operating System of the Cloud Data Centre," on Thursday, 30th October. Dave will discuss how public cloud has changed the perception of how IT services are delivered and consumed. This is a long-term shift from siloed to shared storage infrastructure, one capable of predictably handling a broad mix of enterprise workloads. Stuart Oliver, SolidFire's Global Service Provider Programs Manager, will present two sessions: "To flash or not to flash? How service providers are implementing flash as part of their Next Generation Data Centre architecture" and "Flash -- It's not just about the cloud. How next-gen flash storage is driving a more efficient data center," also on Thursday, 30th October. SolidFire also recently introduced two new storage nodes, the SF2405 and SF4805, which dramatically decrease the cost of entry for customers worldwide to the industry's only cloud-scale All-Flash Array. 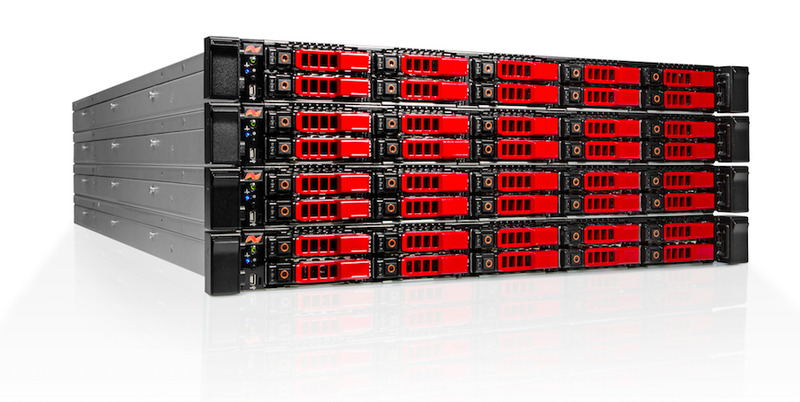 The new SF2405 expands the low end of the SolidFire product family starting at 35TB of effective capacity and 200,000 predictable IOPS, all below $100,000 USD. The new SF4805 delivers SolidFire's lowest $/GB, with a starting 4-node footprint providing 68TB of effective capacity and 200,000 predictable IOPS. Through its partnership with Seoul-based SCG Solutions, SolidFire's scale-out, all-flash storage solutions will be delivered to select reseller partners throughout Korea. SolidFire and SCG Solutions plan to focus on strategic server and storage partners with specialization in backup and replication in target markets where the drive to deploy cloud data centers has gained momentum within Korea. SolidFire's solutions, which offer the highest-performing all-flash storage systems for both accelerating performance and consolidating mixed workloads, are currently available for order through SolidFire and its global partner network. For more information, visit: www.solidfire.com/flashforward.